The ecommerce industry is one of the booming industries in the world. There are a large number of e-commerce websites which have been successful in reaching a brighter destination. And many more websites are blooming day by day to keep up with modern trends and civilization. Getting in touch with the trends, you may also think of your first online business. 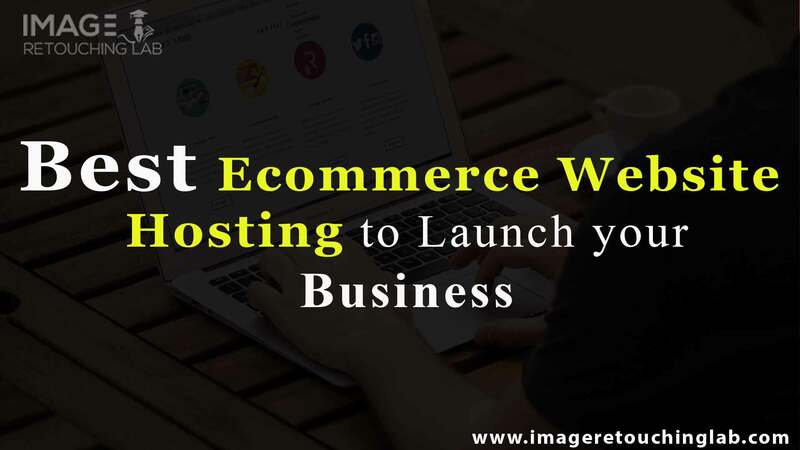 And if you are planning to launch your ecommerce business, then you might consider some points before launching your website. For instance, you have to think about a proper domain, hosting, web design & development, and marketing. Though almost all of these points are easy to solve, you might be in tantalization while choosing a hosting plan. It is because there are two kinds of hosting available to launch a website. To help you choose the perfect ecommerce website hosting, we have come up with this informative article. Let’s scroll down to check the information of the article with utmost passion and patience. 1 What is Ecommerce Website Hosting? What is Ecommerce Website Hosting? Ecommerce Hosting is a kind of hosting for a website that is targeted to sell goods online. This sort of hosting requires a special range of functions and features as they will be processing important information from different customers. Generally, ecommerce web hosting requirements include SSL Certificates, Software for Shopping Cart, Payment Processing, and many more. However, you will get to know two options for ecommerce web hosting. One is Shared Hosting and the other is Cloud Hosting. Both of the options have different facilities. It does not matter if you are in search of the best ecommerce hosting for small business or big business. You will get stumbled to choose an option for your website. According to many ecommerce specialists, Cloud Hosting is the best choice for ecommerce websites. But why is Cloud Hosting the best? Hold your mouse and scroll down to check the top reasons. Your workplace may come to a halt in case of unexpected power interruption. Consequently, your daily business operations might get affected. And you will lose all your hope as well as stamina if your business data is lost for this kind of unexpected issues. Above all, there will be a negative impact on your business. Now, you might think that there is a big risk to launch your ecommerce business as you may lose your business data in case of unexpected issues. But if you choose cloud hosting for your ecommerce website, you don’t have to worry about it. Cloud hosting you will keep you safe from both physical damages and system failures. Besides, it will ensure you smooth customer activity along with functional servers. As a result, there will be no adverse effect on your business. Cloud Hosting has a very special attribute which is scalability. If your business can manage a huge number of customer visits, then this attribute will help you grow your business faster. Cloud hosting can deal with a huge number of customer visits and increase user activity in a lively way. And with the help of increased user activity, you can easily scale up your sales. All these are possible only when you choose cloud hosting for your ecommerce business. As this kind of hosting can increase customer peak time, everyone should choose cloud hosting for the betterment of business growth. In fact, the target of all the cloud servers is to ensure maximum performance. The files, tools, applications, and networks of your business are the most crucial things out there. And to secure these things is mandatory for an ecommerce business. Experts of Cloud Hosting professionally manage the security of your business, and so you can be sure that your business data is professionally secured. In fact, Cloud Hosting has the highest level of security management. To ensure complete protection of business data and files, Cloud Hosting provides a client with end-to-end data encryption, managed firewalls, antivirus programs, and multi-level authentication process. Cloud Hosting makes users get easy access to important information through any web browser. In fact, it enhances accessibility in a dynamic way. By ensuring enhanced accessibility, Cloud Hosting reduces the additional costs for setting up an in-house system. It is natural that it helps the business processes run in an easy and fast way if employees, partners, suppliers, and distributors can get easy access to information. That is why Cloud Hosting ensures enhanced accessibility which helps a business in the truest sense. An ecommerce web hosting service must have flexibility for the businesses that have fluctuating bandwidth requirements. This is where Cloud Hosting comes up with the perfect solution for ecommerce websites. To scale up the resources of your site, you must increase your bandwidth requirements. In this case, Cloud Hosting helps you scale up the resources of your website. As a result, your site does not get slowed down. That is to say, your ecommerce site will run faster when you pick up the service of Cloud Hosting. Teamwork is significant to achieve business growth for any business across the world. Considering the issue, Cloud Hosting has made the platform user-friendly for teamwork. Since the servers of Cloud Hosting are linked to the same network, it is easy to maintain teamwork. Actually, Cloud Servers ensure you that you have an ongoing backup system. This is undoubtedly a good feature of Cloud Hosting. However, the facility of the ongoing backup system makes us trust Cloud Hosting for the best reliability. In this age of information and communication technology, every employee of any particular organization has the necessary information related to their works. It doesn’t matter where they are; they can manage their work from any corner of the world in their flexible time with the help of a tablet or a smartphone. It can be possible only with the touch of Cloud Hosting. Along with this facility, Cloud System helps a person share important data and documents. All these facilities help to reduce time to market. As a result, a business can improvise on product development as well as customer service. Cloud Hosting has another great feature of manageability. It ensures better IT management along with excellent maintenance system. It means that you don’t have to use IT infrastructure management and maintenance if you decide to use Cloud Hosting for your ecommerce website. In fact, Cloud Hosting provides a client with all the necessary resources for IT management and maintenance system. So, it will make you feel relaxed as you don’t have to handle IT management and maintenance. Furthermore, you will be able to save a portion of your money while using Cloud Hosting. Since you don’t need to invest time on IT procurement, you can get a competitive edge over your competitors using the resources provided by Cloud Hosting. There is an opportunity for you to deploy mission-critical applications for your site and gain noteworthy business benefits. To implement the benefits, you need no additional cost. To be precise, Cloud Hosting enables you to invest time to expand your business as it helps you maintain your IT infrastructure. As a user of Cloud Hosting, you will get complete control over your hosting platform. For instance, you can install applications with the help of RDP access whenever you wish to do it. However, the feature plays a vital role to enhance the activities of your ecommerce business. And this will ensure you smooth operations for your site. Another significant facility provided by Cloud Hosting is that it enables you to check inter-VPS traffic on your private gigabit network without any cost. Taking help from it, you will have an overall idea about the incoming traffic of your website. Besides, you will be able to manage a firewall or create a VPN. This is really a significant facility of Cloud Hosting, which may take any ecommerce website to the next level if the owner can utilize it. In the meantime, you might have decided to use Cloud Hosting service for your website. But you don’t know where to find the best Cloud Hosting Service for your business. However, you have nothing to worry about as long as we are with you. Considering ecommerce hosting costs and other facilities, we have chosen some of the best hosting companies around the world. Check the list given below before you pick a company for your ecommerce website hosting. HostGator is one of the best Cloud Hosting service providers all over the world. Providing their clients with reasonable-priced services, they have proven that Cloud hosting is not just for big businesses at present. Any small business owners can take this service for the better performance of their ecommerce websites. Hostgator usually uses multiple virtual servers to spread the load of your website for more reliable and scalable hosting. The company has a good reputation for its uptime, reliability, and speed. Most of the hosting companies on the internet claim that they have 99.9 percent uptimes. But many of them fail to prove their promise. On the other hand, HostGator has proven themselves as the best Cloud Hosting service provider in terms of uptime. By the way, the company has multiple plans for their clients. The plans include Hatching Cloud, Baby Cloud, and Business Cloud. Generally, they charge $4.95 to $9.95 for different packages. And you can also avail yourself of discounts if you want. In this case, you have to buy their service through an affiliate link. Trading since 1998, 1&1 IONOS has widely become popular. The company has a good reputation in providing Cloud Hosting service. In fact, it is working with a mission to empower businesses through powerful technology. And for this purpose, the company has been providing quality services, especially Cloud Hosting, to their clients. 1&1 IONOS has a strong position on the market for reliability and performance. We can rely on something for its satisfactory performance. That is to say, if the performance is good, then the reliability is high. In the case of Cloud Hosting, performance mostly depends on uptime. Here 1&1 IONOS provides their clients with almost 100 percent uptime. The company has four distinct packages for Cloud Hosting. The packages are as follows: Cloud Hosting M, Cloud Hosting L, Cloud Hosting XL, Cloud Hosting XXL. The typical charge for Cloud Hosting M is $15 per month, while you have to spend $65 per month to choose Cloud Hosting XXL package. Cloudways is another renowned hosting company which has a noticeable prominence on the market. Based in Malta, the company has been around the field of hosting since 2011. From the very beginning of their inception, they are providing scalable, eased, and reasonable-priced Cloud Hosting services. Cloudways usually offers managed Cloud Hosting powered by giant providers such as Amazon, Google, DigitalOcean, Kyup, Linode, and Vultr. Actually, they follow a middle path to provide service to the owners of ecommerce websites. However, a recent study shows that the company is expanding its business rapidly with a reputation for outstanding customer satisfaction. The company has a good range of Cloud Hosting plans for their clients. You can choose any plan depending on your need and expectation. Their pricing plan is satisfactorily reasonable for all kinds of business owners. Usually, you have to spend $10 to $1035 to get a service from the company. Before choosing a plan for your website, spend some time to know which plan will fit your website best. DigitalOcean is a giant company in the arena of Cloud Hosting. The company is the best in the world for more demanding users. It is basically based in New York City, but it has 8 data centers across the world. As a result, they can provide highly configurable virtual servers for the best performance. And they have crammed the service with developer-friendly, high-end features which push websites to perform well. Many newbies think that DigitalOcean is for only the expert users of ecommerce websites. But it is completely wrong as the company provides a great number of easy-to-go features for beginners. The platform, for example, offers WordPress as one of its one-click apps. The pricing plans of the company are not out of reach, even though many business owners of the ecommerce industry have a wrong concept about the pricing plans of DigitalOcean. You can enjoy one of their services for a particular price which is as low as $5 a month. By buying this pack for $5, you will get 1GB droplet. To keep up with your increased customers, you will be able to extend the package you have bought for your website. Bytemark is a UK based Cloud Hosting company, which has established a strong position on the market. In fact, it is an industry leading company providing cloud hosting services on a budget. The Cloud Hosting Network of the company runs on cutting-edge Solid State Drives, and this ensures that there will be no obstacles for your site to achieve top performance. All of the Cloud Hosting plans provided by Bytemark are flexible. That means you can later switch to an upper-level plan according to your needs as well as requirements. And luckily, you won’t have to spend extra bucks on upgrading your plan. So, there is nothing to worry if you choose a low-budget plan initially. Bytemark has a unique range of pricing. In general, they offer three packages for their clients. The names of the packages are as follows: Basic, Standard, and Premium. The Basic plan will cost you £20/pcm, while the Standard plan will cost you £30/pcm. And if you are eager to buy the Premium plan, then you will have to spend £50/pcm. To sum up, ecommerce website hosting is the most important thing to consider while you are launching your first ecommerce business. In fact, you have to choose the best hosting plan for your site if you want to experience high performance. And you have no other alternative to Cloud Hosting to enjoy high performance as Cloud Hosting has a lot of features and facilities. If you can utilize those features and facilities, they will ultimately help you grow your business faster. So, our recommendation for you is that you must choose Cloud Hosting for your website.